You may not have heard about many famous black mathematicians from history. This is because until relatively recently it wasn’t easy for anyone who is black to go to university or have a career in science or mathematics. Despite facing many challenges, there have nevertheless been lots of black heroes of mathematics who have managed to make great mathematical discoveries, often in the face of adversity and prejudice. Here we highlight just five of the black heroes of mathematics history – some of whom are still living and working today. Despite being the son of a railroad worker, David Blackwell became a great mathematician and statistician. During his lifetime he was barred from studying and working at many different universities in the U.S. due to racial prejudice. David Blackwell overcame many of these challenges to become a statistics professor at the University of California Berkeley, one of the most prestigious Universities in America. He was also the first African-American to be admitted into the US National Academy of Sciences, a society of the most distinguished scientists in America. David Blackwell specialised in game theory and became an expert on what is known as the duellist’s dilemma, where two opponents approach each other with loaded pistols and have to decide on the best moment in which to fire – a problem which was of keen interest to the military during the Cold War. David Blackwell also has a famous theorem in advanced statistics named after him: the Rao-Blackwell-Kolmogorov theorem. For a full biography of David Blackwell click here. Katherine Johnson was a space scientist and mathematician who was employed by NASA – working on many famous missions such as that of the first American flight in space; the moon landings and also the infamous Apollo 13 flight, where her calculations meant that the crew were able to return safely to earth after an oxygen tank exploded. Katherine Johnson was so good that in 1962 astronaut John Glenn refused to fly unless she had personally checked all the calculations of his orbit around the earth. As an African-American woman in the 1950s it was unheard of to be engaged in mathematical research for NASA. The only way she obtained this role was by being temporarily assigned to the all-male flight research team – once she was there, her prodigious talents meant that she was kept on as a vital member of the team. In January 2017 a film called Hidden Figures was released about the work of Katherine Johnson and other African-Americans at NASA. For further information on Katherine Johnson click here. Ernest Wilkins Jr was a remarkable mathematician, displaying amazing talents from an early age. He started studying at university at the age of just 13, and by the age of 19 had already earned a PhD in mathematics. During the Second World War he worked on the Manhattan project which was focused on developing the first atomic bomb and after the war continued to apply mathematics to problems in the nuclear industry. Most mathematicians focus their research on a small number of topics, whereas J. Ernest Wilkins Jr was able to conduct research across many different areas of pure and applied mathematics and had a successful career in both industry and universities, demonstrating just how versatile and talented he was. For a full biography of J. Ernest Wilkins Jr click here. 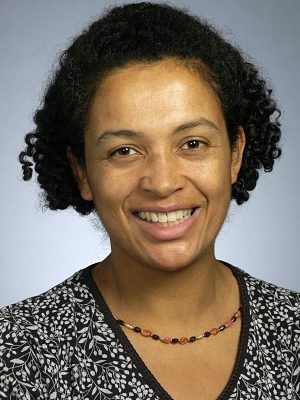 Kathleen Okikiolu is a renowned British research mathematician who has won many prestigious awards. After completing an undergraduate degree in mathematics at Cambridge, she went on to study a PhD at the University of California at Los Angeles. Kathleen Okikiolu is from a highly mathematical family, with her Nigerian father George Okikiolu also being a research mathematician who is thought to have written more mathematical papers than any other African citizen. One of the highlights of Kathleen Okikiolu’s career was when she was the first black person to receive a Sloan Research Fellowship. This is an award which is only given to promising researchers who are in the early stages of their careers. As an indicator of the importance of the award, 43 former Sloan Fellows have gone on to win Nobel Prizes and 16 Sloan Fellows have gone on to win the Fields medal which is the mathematical equivalent of the Nobel Prize. Kathleen Okikiolu is currently a professor of mathematics at John Hopkins University in the U.S where her research includes studying elliptical determinants and the properties of different dimensions in space. For further information on Kathleen Adebola Okikiolu click here. Mamokgethi Phakeng is a leading researcher into mathematics education in South Africa and was the first black female South African to gain a PhD in Mathematics education. As well as producing world famous research on mathematics education, Mamokgethi Phakeng has also devoted her life to helping some of the most underprivileged students in her country. In 2004 she founded the Adopt-A-Learner Project which provides annual scholarships to learners who are outstanding in mathematics, but cannot afford to study. In recognition of her many achievements in 2014 CEO magazine named her as the most influential woman in Academia in Africa. For further information on Mamokgethi Phakeng click here. Hopefully this article has helped illustrate the fact that anyone with the right talents and determination can make a successful career in mathematics. Throughout history there have been famous mathematicians from every kind of background – some from wealthy backgrounds and others who have been self-taught from poor upbringings. There have been mathematicians who have been born into great scientific families, and others who appear to be the first person in their family to be good at mathematics. So the message is – don’t let anyone put you off if you want to pursue mathematics as a career – there is not one stereotype which you need to fit into!